CNET has been making some buzz recently as it announced that it will be issuing its first quarterly print edition this week. CNET is known as one of the main players when it comes to tech product reviews, news and other resources. Being a consumer-focused tech site that it is, CNET has decided to reach out to a certain market that is currently not being served by other magazines by issuing print magazines. The tech site is planning to add value to its print version by including content that will not be available online. They will initially issue 200,000 copies of the magazine which will be sold through Barnes & Noble, Walmart, Target and Costco, and each copy is priced at $5.99. This is a good news for the print industry, as CNET joins other digital natives trailblazing the digital-to-print transition. Read more about it from Mashable. 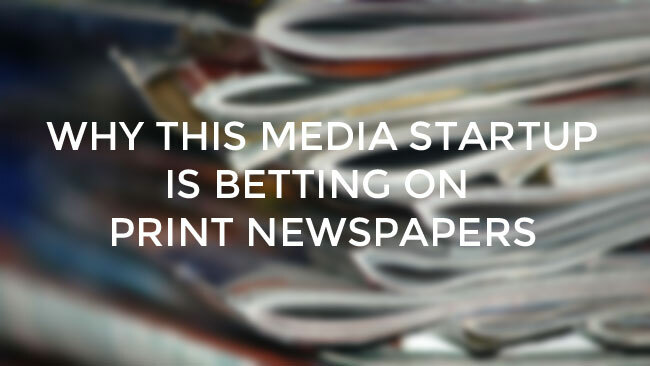 “Why This Media Startup Is Betting On Print Newspapers” by FastCo. Douglas McGray, an established journalist contributing for papers like New York Times and New Yorker noticed the lack of West Coast perspective in news publications when it comes to national general interest, so he decided to make one. McGray went on to create California Sunday with Federated Media cofounder Chas Edwards. But what FastCo finds surprising is that California Sunday aims to bring news not only through digital media but also through print, which is surprising for a startup. As most news providers are slowly transitioning to digital media (a move from bigger players like Newsweek), this startup will include a print edition, with options to advertise on both print and digital versions. But in an industry where both print and general interest magazine are struggling, how will a publication as such manage to thrive? Read more about McGray’s insight from this article written by Sarah Kessler. You've got a design project, and now you're preparing to print and trying to find out if you're doing it right. If you found a book that contains everything you need to know about printing, won’t you buy it? This is what The Print Handbook is trying to claim for itself. 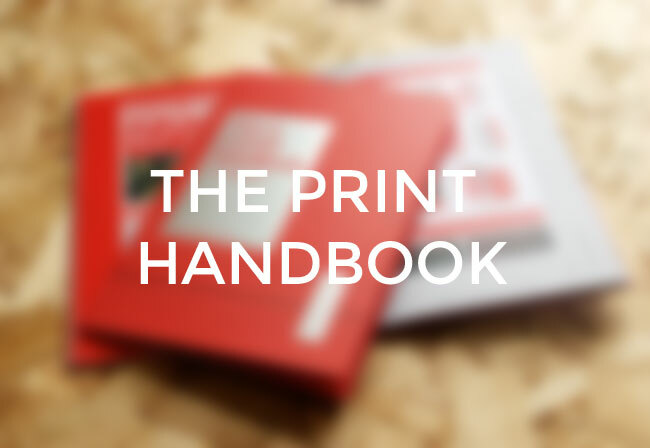 The Print Handbook is a small book first published in the UK in 2011 and is sold from The Print Handbook Store, which is currently ran by Andy Brown Design. It lays out very useful information for designers and serves as a manual to the printing process. The handbook contains everything you need to know about print design, from color techniques to charts to design guides and lots of other handy tools. Well, almost everything, since it’s just on its third edition. If you take the time to think about it, sale posters are always red - same thing for logos of popular fast-food chains. This is not a trend but rather a science by which brands adhere to. This blog post from Ecommerce University explains why color matters in your design and how you can effectively use it to communicate who you are as a brand, especially when it comes to marketing and promotion. You probably already have an idea on what kind of reactions certain colors give but along with statistics and charts, you might want to refresh your knowledge on how color influences us. Backed by science, you can’t go wrong with this one. Analysts have seen a rise in the purchase of stocks from print media and newspaper companies like New York Times and Gannett Co., and they attribute this rise to Internet and television. An article from Mashable by Patrick Gillespie indicates this trend though it’s not what it seems to be: newspapers sales are still declining but companies rooted in them have found new markets to thrive in. Probably the best line to describe this would be a statement from Edward Atorino, an analyst from Benchmark Co. LLC. He said, “I wouldn’t buy a newspaper company (stock) just because it’s a newspaper company. They’re really broadcast companies now,” which implies how stakeholders are banking on print media companies’ digital and broadcasting arm. Read more about the developments here in this article. 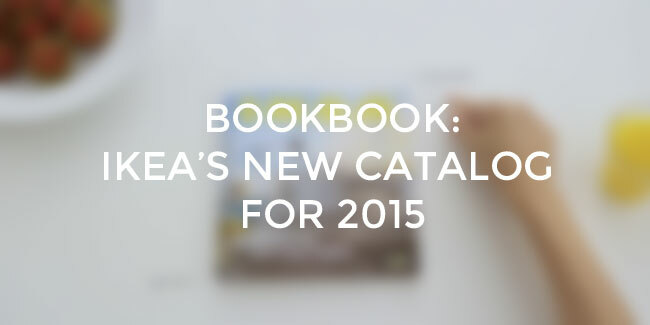 BBH Asia Pacific created an ad for IKEA’s 2015 catalogue, and it’s dry and hilarious. Entitled “bookbook”, it provides a satirical view on the hype over tech commercials in general, more specifically taking a swing at Apple, as indicated by its use of white backdrop and a demo style akin to the company’s. But more than being a spoof, the ad also reacquaints the viewers to the power of printed media over digital. In the ad, a man named Jorgen Eghammer talks, introducing himself as the chief design guru of bookbook. The whole video looks like a real promotional ad for a new product, but hilarity ensues the moment he talks about the product’s features. Is a 7.5 x 8-inch display too small for you? Book book can expand up to 15 inches! Navigation? No problem, what with its “tactile touch technology”. Battery life? Eternal. The best thing though: No lag. And Eghammer talks about these things with exaggerated enthusiasm. Watch the whole video here. Head over to our Specials for more print-related news. Printingdeals is dedicated to bringing you the best deals and discount coupons on the market. Browse over our Coupons page to view the current deals!